Awesome SOTD with some new scents, and long time favorites ! Simply awesome. 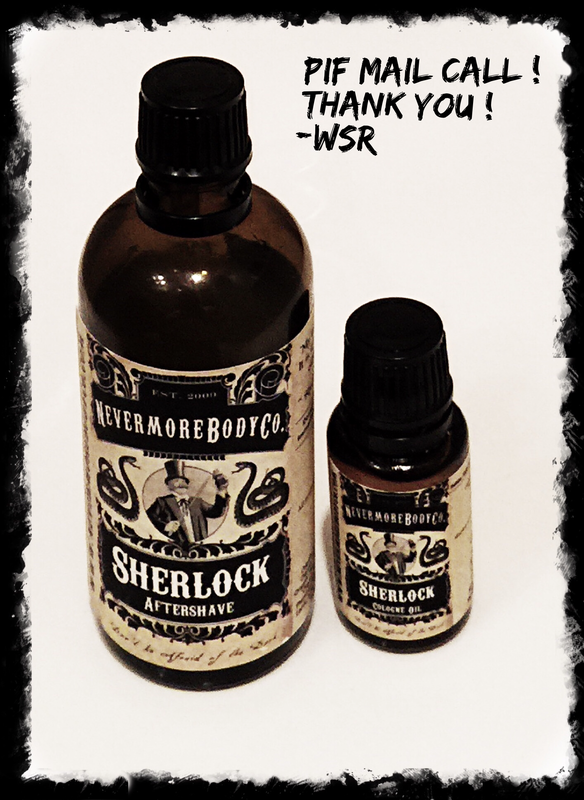 Wonderful soap, no one will argue the post shave feels and great lather from Mitchell’s Wool fat, the After Shave from NevermoreBody co. Was brand new to me and a gift from a fellow wet shaver Josh from our Facebook group. Awesome scent mostly like raw honey but had back notes of orange blossom and pepper like spice, but very subdued in he mix. 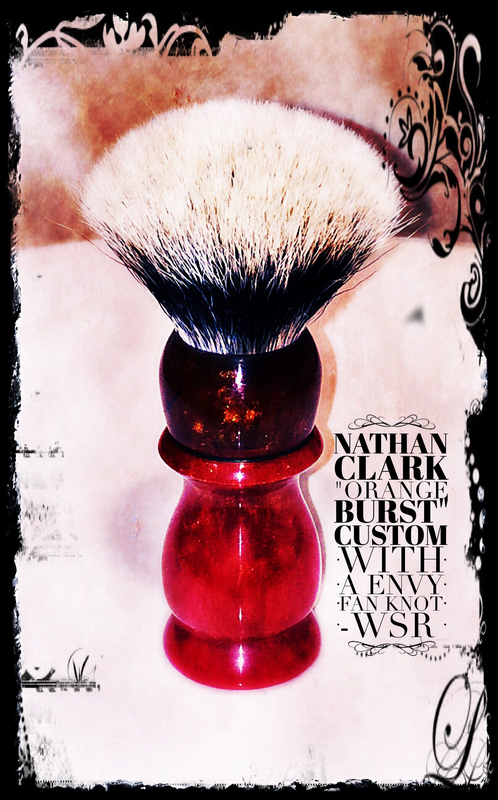 The Nathan Clark custom was just that, custom to my likes but the Envy knot is worthy of mention I have never had a brush with such amazing backbone. The backbone is not for everyone and makes 2-band brushes look weak, but for the chosen who love those soft tips and ample backbone this is the knot you want. Finally the Thiers-Issard “Spartacus” delivers a wonderful shave every time; though it’s getting close to refresh time. 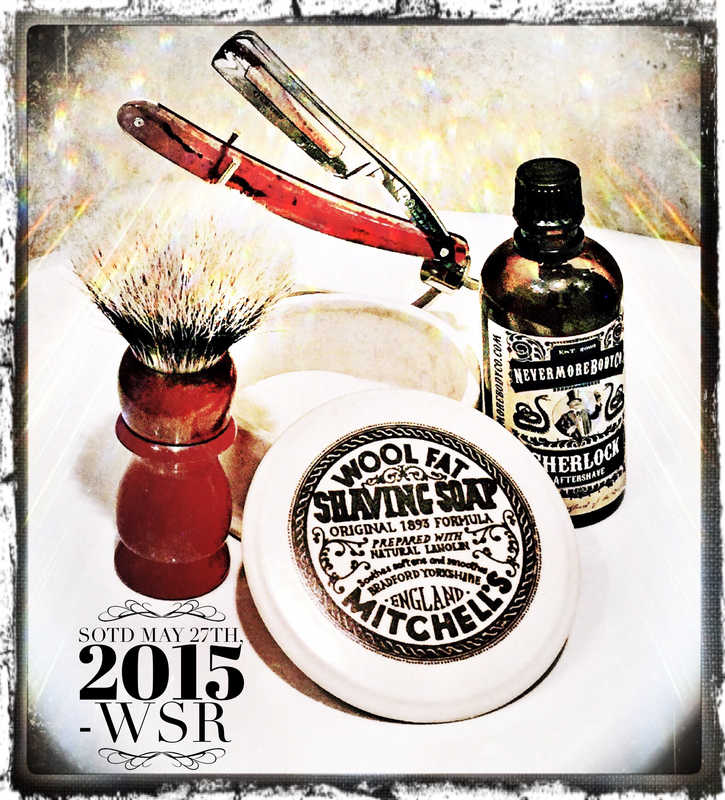 All said this was my best shave this week ! Again simply awesome.